If you're traveling on a budget and looking for cheap Toronto hotels, you'll find several outstanding options. Toronto budget hotels offer you clean and comfortable accommodation but, more importantly, save a great deal of your hard earned money. 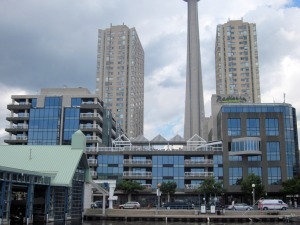 Most of these cheap Toronto hotels are scattered in various districts of downtown Toronto. Perfectly located close to major tourist hot spots, business establishments and public transit system, these cheap hotels in Toronto are best for leisure and business travellers. But wait. What you have to sacrifice in favour of low tariffs? Cheap Toronto hotels offer a classic trade-off between facilities and price. What you get here is decent, no-frills accommodation in small-to-medium rooms, fitted with basic amenities. You have to give up luxurious amenities, ultra-modern gadgets and designer furnishings. You may not find luxurious beds, posh bath accessories, huge swimming pools and Jacuzzis, state-of-the-art fitness centres, on-site restaurants, large banquet halls and meeting space in cheap Toronto hotels. 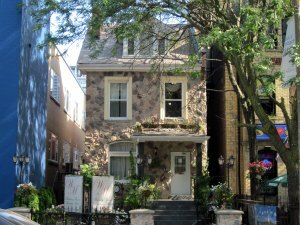 So, if you don't want to dig deep into your pocket for your lodgings, here is my list of quality cheap hotels in downtown Toronto offering ultimate low rates. But keep those limitations in mind before selecting cheap Toronto hotel. For your information, hotel with rates between $75 - $125 is considered as cheap discount hotel by Toronto standard. If you're looking for a good place to sleep and don't have huge hopes of luxury, Super 8 Downtown Toronto is a great economical hotel for you. 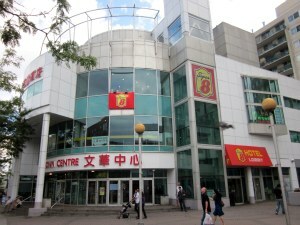 Located in the heart of animated Chinatown neighbourhood of Toronto, the hotel is right on the Spadina streetcar line providing excellent public transit access. 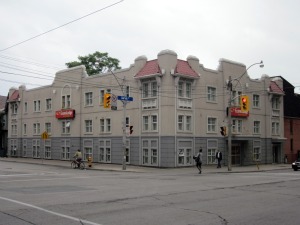 Super 8 Downtown Toronto has 92 well-equipped, air-conditioned guest rooms offering comfortable accommodation. The bright and modern rooms features free high speed internet, Cable TV, large work desk and chair, mini-fridge, microwave, and coffee maker. Begin your day with complimentary Super Start breakfast in the morning, visit a fitness centre or enjoy Shiatsu massages to unwind and de-stress after a hectic day of sightseeing. The hotel also features a small meeting room for business travellers. The hotel is also within walking distance to various Toronto attractions including CN Tower, Art Gallery of Ontario, Kensington Market, Rogers Centre and Eaton Centre. You will also find lots of cheap but fabulous eateries nearby. It's also ideal base to enjoy the famous Toronto Chinatown Festival in summer. 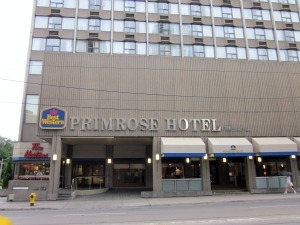 The Best Western Primrose Hotel Downtown-Toronto is a full-service hotel located just two blocks from the dynamic Yonge Street in downtown Toronto and steps away from some of the best entertainment, shopping, dining and business establishments of downtown Toronto. 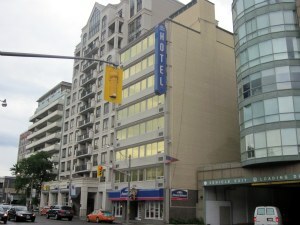 With 335 recently renovated guest rooms and suites, the hotel is one of the largest cheap Toronto hotels. The spacious rooms are fitted with convenient and comfortable amenities including complimentary Wi-Fi access, TV with premium cable channels and big, comfy beds with a 250 thread count duvet bedding package. For your exercise routine, visit the modern, well-equipped fitness centre. Or take a dip in the outdoor swimming pool in warm summer. The cedar saunas are also wonderful place to relax and rejuvenate after an eventful day. The hotel also offers well-resourced business centre, accessible 24 hours a day. While the Primrose Restaurant and Bar serves lip-smacking cuisine and wonderful variety of cocktails. With excellent accommodations, a wide array of amenities and facilities, a warm welcome and a friendly smile, cheap hotels in Toronto do not necessarily have to be cheap in quality. Econo Lodge Inn & Suites Downtown often gets negative reviews for services and amenities and is not very popular among visitors. Located near Allan Gardens in downtown Toronto, this affordable hotel is close to Ryerson University, Canon Theatre, St. Michael's Cathedral, Toronto Eaton Centre and Yonge-Dundas Square. Most rooms are very small and quite basic, offering free high-speed internet access, free local calls and cable TV. One more drawback is that there's no elevator. The plus points of this pet-friendly hotel are complimentary breakfast and a business centre. If you are comfortable with bare, basic accommodation and don't care about luxurious amenities, you may consider this cheap hotel on your next trip to Toronto. There is nothing fancy about this small and cheap Toronto hotel. It looks like a 1970s hotel. But with a facelift, the hotel can offer good value for money with its unbeatable location. Situated in one of Toronto's most exclusive neighbourhoods, Howard Johnson Hotel Toronto Yorkville is just steps from hi-end designer boutiques, elegant restaurants and stylish spas of Yorkville area. Canada's best museums such as Royal Ontario Museum, Gardiner Museum of Ceramic Arts and Bata Shoe Museum and several top-notch art galleries are just a 5 - 10 minutes' walk away. You get clean, medium-sized rooms with comfortable bed, TV with cable channels, Air Conditioning and free Wi-Fi. The hotel also offers free continental breakfast and daily news paper. The lobby area is fairly good. If you're looking for a decent accommodation in downtown Toronto without breaking the bank, Bond Place Hotel is a perfect place for you. The hotel is highly recommended because of its great location and excellent value for money. The hotel is recently refurbished and offers very clean, comfortable rooms with modern decor. Bond Place Hotel's well-appointed 285 guest rooms feature lots of amenities including LCD TV, wireless high speed internet, refrigerator, coffeemaker, work table with desk chair, posh new beds and spa style bathrooms. The hotel also has a state-of-the-art fitness centre, event space for up to 200 guests and an authentic Italian espresso bar. Does it sound like a cheap hotel? The hotel sits right on the trendy Yonge-Dundas Square in downtown Toronto and is just 2 blocks from Toronto Eaton Centre, St. Michael Cathedral and Dundas subway stop. You can easily walk to major attractions, shopping, entertainment venues, financial establishments and dining options or use the Dundas subway stop to explore the city. An elegant, historic Victorian mansion in downtown Toronto has been transformed into a fantastic boutique hotel. 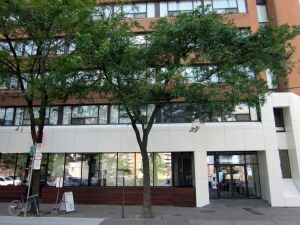 The small and affordable hotel is located just across the Wellesley stop on Yonge-University-Spadina subway line. It has the cosiness and beauty of a European boutique hotel while still being a short walk from bustling Yonge Street. The Wellesley Manor features individually decorated and furnished guest rooms. While the Victorian architecture abounds, the rooms offer modern facilities including complimentary high-speed internet, LCD TV with DVD, refrigerator, coffee maker and much more. Also, the hotel staff is very friendly and attentive. The hotel has no restaurant, but right outside the door is Yonge Street and a seemingly endless variety of restaurants, bars, and nightlife. In Short, the Wellesley Manor is a fabulous little hotel for different class of experience.